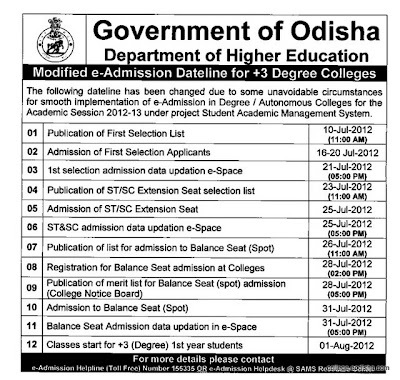 Dheorissa (Department of Higher Education Govt. 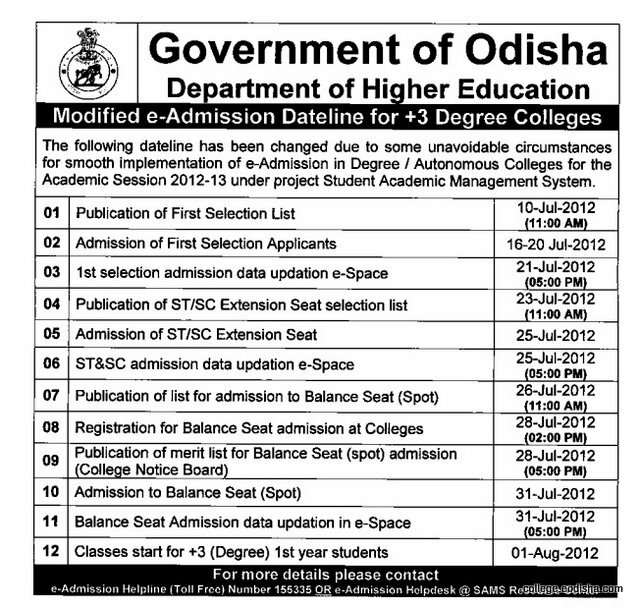 Of Odisha) has changed some of the Dates with regards to e-Admission into +3 Degree Colleges in Orissa. Below is the Details on the Changes .